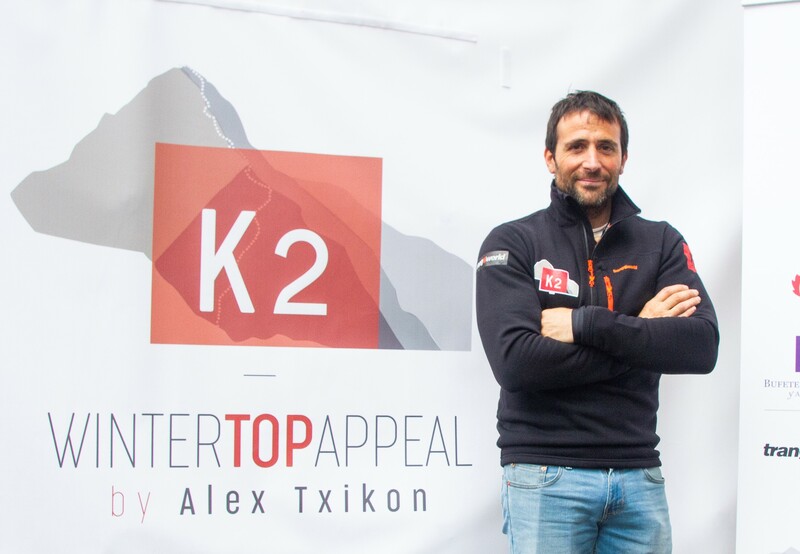 Basque Alex Txikon presented his upcoming winter K2 expedition at home in Spain last week. Photo: Alex Txikon expedition team. 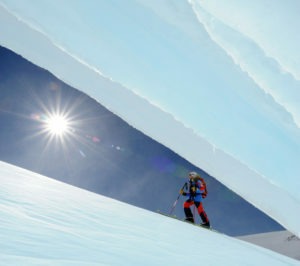 Winter K2 has been attempted four times by Polish and Russian climbers. 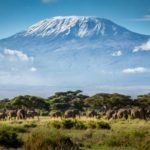 None of them has reached beyond 7,600m of its 8,611m. A Russian/Kazakh/Kyrgyz combo is currently struggling to raise the money to have a go at this last great Himalayan prize. 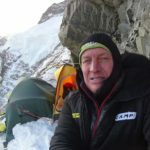 But they will not be lonely at K2’s barren Base Camp: Alex Txikon of Spain will lead a small team that includes Felix Criado (who partnered with Txikon on a previous summer K2 attempt) and five climbing Sherpas who were on winter Everest earlier this year. The Spaniards set off on January 2 and will trek to BC from Skardu. 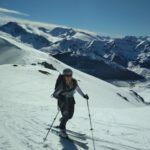 Although conditions will decide which route to follow, both Txikon’s and Artem Braun’s expeditions are apparently bound to the normal route, the Abruzzi Spur. 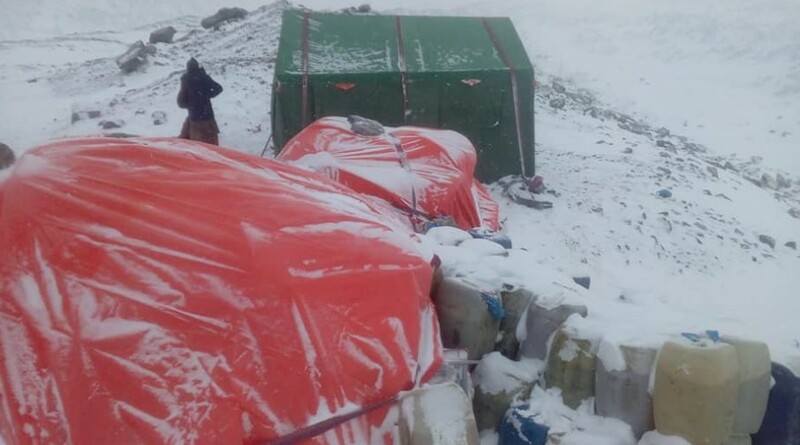 As a strategic novelty, Txikon claims that their upper camps will be snow shelters instead of tents. A cameraman and drone pilot, plus researchers studying green energy alternatives and weather, comprise a large BC crew. The Russians are determined to proceed despite a lack of funding. Without sponsorship from home, they have created a crowdfunding campaign that they hope will raise enough for gear and clothes. Nevertheless, the expedition, organized by Braun and led by 14×8000 summiteer Vassily Pivtsov, will go ahead in any case. A large load of gear already sits under orange tarps at Base Camp, and the 11 climbers have received their permits. Expedition member Dmitry Muraviov, who summited Manaslu in 1995 in winter conditions (December 8), says that they have real chances to succeed. A first load of gear for Artem Braun’s International Winter K2 expedition sits at Base Camp. The team arrives in early January, 2019. 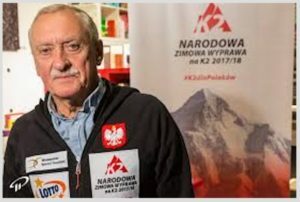 Meanwhile, the Polish team that plans to tackle Winter K2 in 2019-20 watches carefully. Leader Piotr Tomala explains that his team of mainly young mountaineers will do three training climbs this winter. 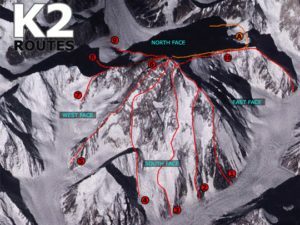 Hopes are high to enlist local star Adam Bielecki for K2 itself. Currently, they are not planning to “reinforce the team with foreign climbers” or with the controversial Polish immigrant Denis Urubko. No word on whether the expedition will proceed if Txikon or the Russian-Kazakh-Kyrgyz group triumphs this year, however. In addition to K2, Italy’s Daniele Nardi and the UK’s Tom Ballard have obtained a climbing permit for winter Nanga Parbat. No further details on their project have yet been released.